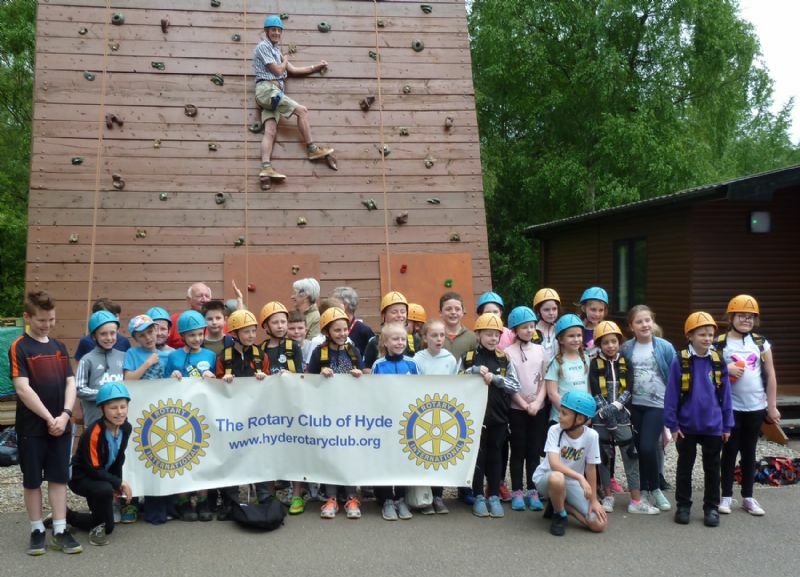 Working in the community and helping young people is part of the Rotary Club ethos and this year Hyde Rotary sponsored a day out for 31 year five students from Godley Primary School in Hyde at the Petty Pool Activity Centre; an adventure centre set in 17 acres of beautiful woodland in Northwich, Cheshire. It is well known that children gain enormous benefits from learning outdoors. It supports confidence and allows opportunities for big scale play, problem-solving and creativity in the company of other children, and physical activity is enhanced. The students enjoyed a day of climbing, zip wirer and exploring forest adventure trails and tucked in to a variety of country culinary delights.